Digital India is one of the visionary missions of PM Narendra Modi to make India Digital; this vision got its first step in the form of digital village in Gujarat. The village has been adopted by one of the biggest private banks of India “ICICI Bank Ltd.” and they have made the village digital. In today’s post we will be discussing the five things we should know about India’s first digital village named Akodara, in Sabarkantha district of Gujarat. 1. 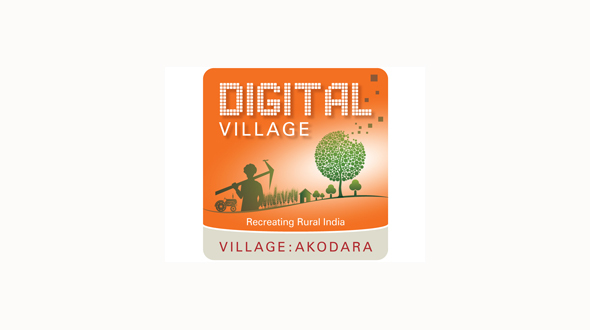 The village of 1,200 people has been adopted by ICICI bank to make the Akodara a digital village with the help of local authorities to show the digital future of India. 2. People of Akodara village do cashless transactions for amount more than five INR rupees for buying anything from the grocery to vegetables. They make the payment by different medium like Mobile or card. The system has made them automatically less susceptible to corruption and fraud. 3. All the schools have digital boards to give the education and the education has been made more interactive and interesting. Now with the help of technologies the study is live and practical which is more knowledgeable to student. Also, across all schools, a digital attendance system is being implemented that will inform parents, via SMS, whether their children have shown up at school or not. Apart from its practicality, this is also an important safety initiative. 4. Village have CCTV installed over the street and school to monitor all the activities and help people to live freely and crime free. 5. Village has all the modern banking systems from ATM to SMS banking, and almost all the adults have their saving account in bank linked with their Aadhar No., so that they can get all the government benefits directly into their account. Earlier people had to travel to district headquarters by investing 70 Rupees to get the pension of 800 Rupees this hassle has been reduced. These are some of the points that has made Akodara a digital and future ready village. Soon we will see total of 2500 village becoming digital. Hope you have enjoyed the post – please share your views and points about the digital village initiative by Indian government in comments section below.